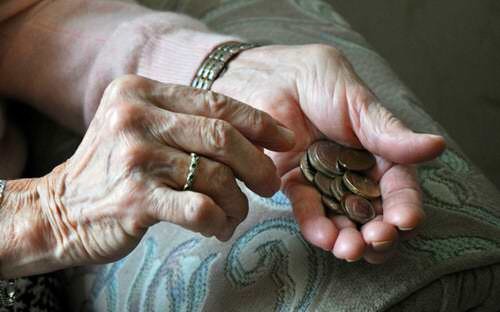 Forget That Social Security Increase, Seniors Are in Trouble. Here’s Why. You might have heard that Social Security checks are going up 2.8% this year, the biggest rise in seven years. That translates into an average benefit of $1,461 a month, up $39. While welcome, it’s necessary to remember that the increase is tied to inflation. Higher payouts will simply enable retirees to keep up with the rising cost of living. It doesn’t mean that anyone’s standard of living will go up—as if an extra $1.28 a day will do much in the first place. Think of a treadmill: You’re not going anywhere. In fact, retirees and those who are eyeing retirement risk going in a different direction: backward. A study by the Schwartz Center for Economic Policy Analysis at the New School finds that about 40% of middle-class Americans will live close to or in poverty by the time they reach age 65. “Golden years?” For millions, it’s doubtful. Older adults need to eat more protein-rich foods when they’re trying to lose weight, dealing with a chronic or acute illness, or facing a hospitalization, according to a growing consensus among scientists. During these stressful periods, aging bodies process protein less efficiently and need more of it to maintain muscle mass and strength, bone health and other essential physiological functions. 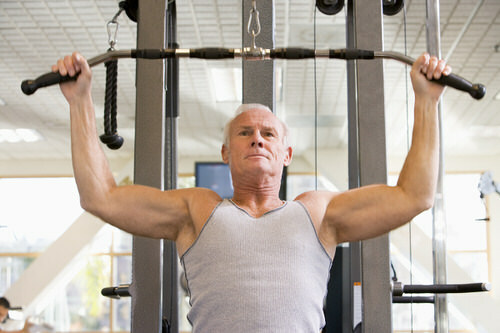 Even healthy seniors need more protein than when they were younger to help preserve muscle mass, experts suggest. Yet up to one-third of older adults don’t eat an adequate amount due to reduced appetite, dental issues, impaired taste, swallowing problems and limited financial resources. Combined with a tendency to become more sedentary, this puts them at risk of deteriorating muscles, compromised mobility, slower recovery from bouts of illness and the loss of independence. The sullen teenager grinding through a restaurant shift after school was once a pop culture cliche—as American as curly fries. Nowadays, Brad Hamilton, the teen played by Judge Reinhold in “Fast Times at Ridgemont High,” would probably be too young to work at the fictional Captain Hook Fish and Chips. That’s because senior citizens are taking his place—donning polyester, flipping patties and taking orders. They’re showing up at casual dining chains such as Bob Evans and fast-food operators like McDonald’s Corp., which says it plans to make senior citizens one hiring focus in the coming year. Staff at two senior care centers abandoned residents during an evacuation as wildfires swept through Northern California last October, state officials said Thursday as they moved to revoke licenses from the Santa Rosa facilities and their top administrators. Nobody in either facility died. A Department of Social Services complaint says more than 20 people would have died when a dementia facility burned to the ground if family members and emergency responders hadn't evacuated them after all staff left. The investigation says night staff members at Villa Capri were not trained in emergency procedures and had never practiced a fire drill. They could not find keys to a bus that could have sped evacuations. At least three residents were never evacuated from another facility, Varenna, and workers who found them the next morning lied about it, the investigation found. Both care centers are owned by Oakmont Senior Living, which called the allegations unfounded.